The heart to feed your Pontiac engine from stock to race…you're only a heartbeat away! Give your engine the heart beat it needs to live strong and play hard! 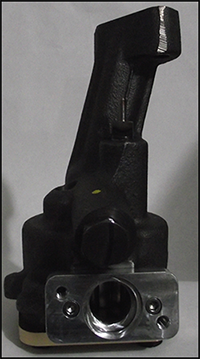 Based on the famous and well proven Melling M54D oil pump with the longer 1.5" length gear set. 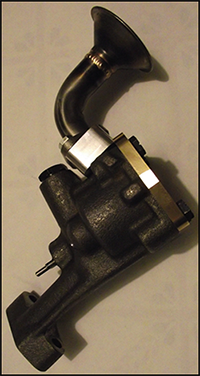 Our large inlet pump and pickup system has been designed and tested on our in house oil pump dynamometer to increase the feed of the output of the longer 1.5" gear set. 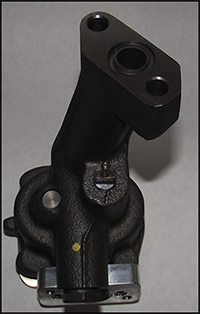 This option allows you the ability to save the cost of using your existing oil pump by allowing us to apply our modifications to it. This feature is our Low Drag gear set option which is enhanced by our proprietary designed oil circuit built into the heavy duty thrust plate. 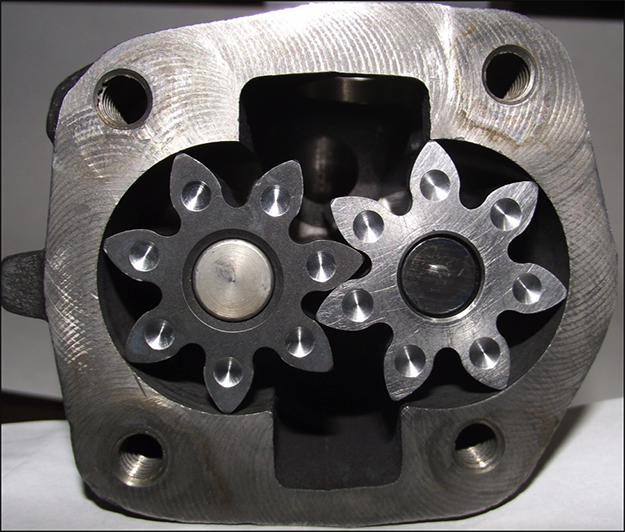 The modification allows the gear set to "float" on a channel of oil thus reducing the coefficient of friction between the mating surfaces. 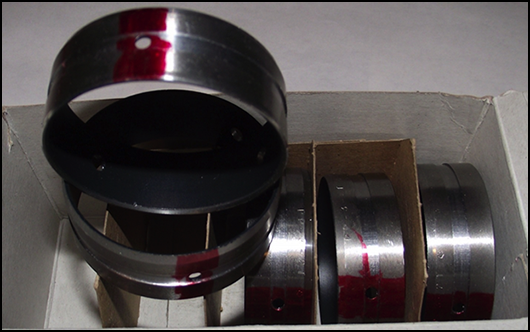 Journal bearings have typical oil characteristics of hydrodynamic friction. 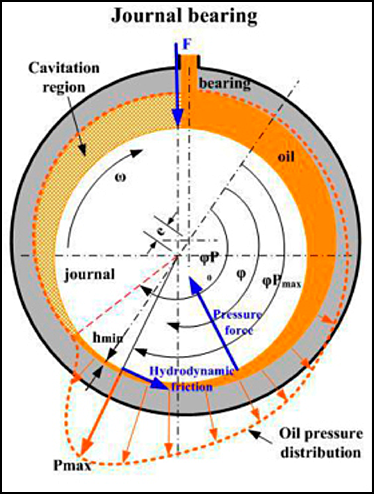 The loading induced into the shaft causes the normal concentric load to shift and cause a converging gap between the journal bearing and the camshaft journal surfaces (See figure 1). We have looked at these areas and have devised a camshaft bearing to decrease these tendencies. 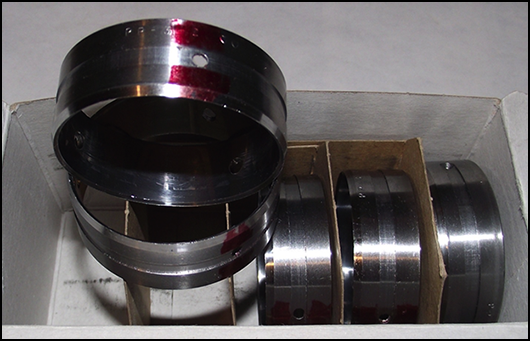 Instead of the traditional single point oil entry designed journal bearing we now have a standard Pontiac camshaft bearing that provides oil to the camshaft journals in three locations. The oiling positions are located at strategic points for maximum oiling and load distribution. This will allow the use of increased valve spring pressure without going to a larger bearing and the added cost of boring out the camshaft tunnel in your engine block.